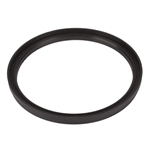 Replacement gasket for aircraft style fuel cap # 91076510. Installation kit includes your choice of 4", 8" or 12" length of fuel resistant 1-1/2" diameter hose and two tube clamps. 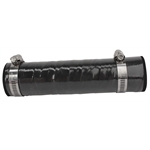 More info on Fuel Filler Hose Kits, 1-1/2 Inch I.D. What brand of gauge will you use? 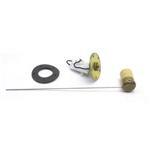 This Stewart Warner brand fuel sender is compatible with all Stewart Warner and Classic Instruments fuel gauges. 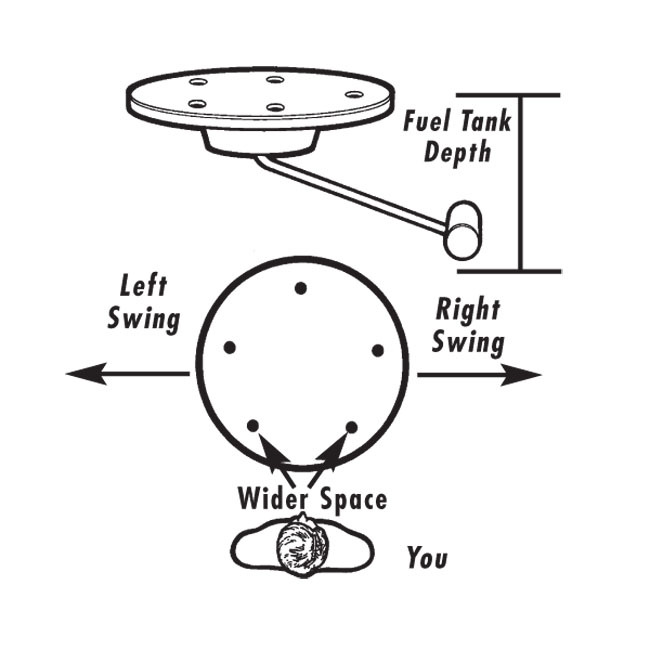 Measure the depth of your tank where the fuel sender arm will be located. Choose the sender with an operating range which includes that dimension. 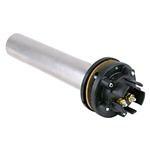 Most fuel gauge senders attach with a 5-screw pattern. Two of these screws are farther apart than the other three. Position yourself such that the 2 wider-spaced holes are closest to your chest; a right side sender will have the arm (or "float") extending to your right, and a left side sender will have the arm extending to your left. This only matters when replacing an existing sender. A first-time installation can use either one, just drill the mounting holes accordingly. The OEMs used several different resistance ranges for fuel level indication over the years. However, some of the aftermarket gauge manufacturers follow the common Stewart Warner values (240 ohm empty, 33 ohm full). 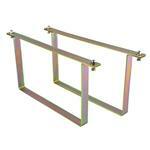 The gauges and senders that we carry (385 & 391’s) use these standard Stewart Warner values. Requires a 1-7/16" hole in the tank for minimum/maximum of 1-5/8"
These bolt-in fuel level sending units feature a positive seal and a 2.3" O.D. bung. For Stewart Warner and Auto Meter style gauges with 240-33 ohm range. Learn more about selecting the proper fuel sending unit by reading our tech article, Fuel Sending Units. Seamless, one-piece, polyethylene fuel cell. Install your own fittings. Fuel cell has one 3/8" hole pre-drilled due to the injection mold process (located in the center of one side). Note: Aircraft style cap shown in photo is sold separately of the fuel cell listed. These bolt-in fuel level sending units from JAZ Products feature a positive seal and a 2.3" O.D. bung. For GM gauges with 0-90 ohm range. Seamless, one-piece, polyethylene fuel cell. Install your own fittings. Fuel cell has one 3/8" hole pre-drilled due to the injection mold process (located in the center of the one side). 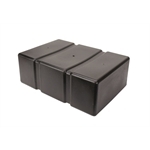 JAZ makes the best polyethylene fuel cells on the market! 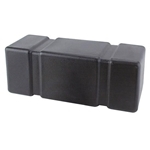 This 100% seamless polyethylene cell features one -8 AN pick-up fitting and one -8 AN vent/tip-over valve fitting. These fuel cells contain a pickup tube. All cells are NHRA, IHRA, SCORE, and DIRT approved. Zinc-plated steel mounting straps available for 16 gallon seamless polyethylene fuel cells (non-steel can cell design). NOTE: These straps do not work with steel can fuel cells. 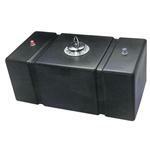 Zinc-plated steel mounting straps available for 12 gallon seamless polyethylene fuel cells (non-steel can cell design). 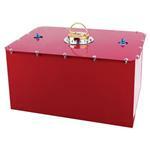 The 20 gauge steel can encloses a tough cross-link polyethylene cell. Includes fuel cell, steel can, IMCA required tip-over valve, and 4" diameter twist-on cap. Has a -8 AN fuel line hookup and return vent. Safety foam sold separately.